Airport Express of St Augustine Inc. Welcome to Airport Express of St. Augustine Inc.
We are a ground transportation company located in St. Augustine, Florida, providing the best airport transportation service in the area. 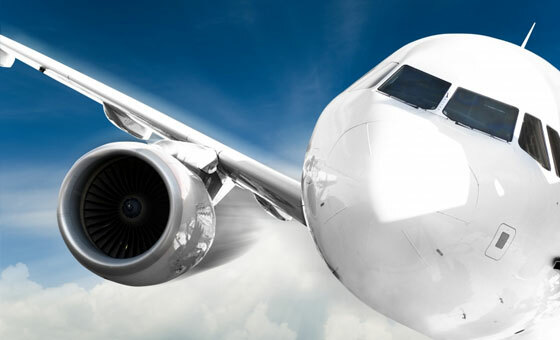 Family owned and operated since 1994, our company understands the importance of a quality airport car service that provides safe, convenient transportation for you and the ones you love. Make a reservation for a private shuttle service and enjoy a relaxing home, office, or airport pickup, or hop aboard a Daytona shuttle or JAX airport shuttle for a quick convenient ride. Check out some of our normal stops which offer daily airport to airport shuttle services or shuttle from airport to hotel. Whichever you choose, you will enjoy a prompt, safe, clean ride to wherever you need to go! Enjoy a hassle free, convenient ride using our door to door service. We will pick you up from home, work, or any desired area location and transport you directly to any number of various locations in the area including hotels, hospitals, shopping centers, and much more. Skip the noise and chaos of the crowd for a relaxing ride with our private shuttle service. Take a quiet ride alone to and from the destination of your choice. Save money using our area or airport shuttle service for a safe, reliable, economic travel option. Browse our list of shuttle service locations to find a pickup spot near you! Find out what others have to say about our transportation services and join our growing community of repeat clientele. We look forward to working with you! 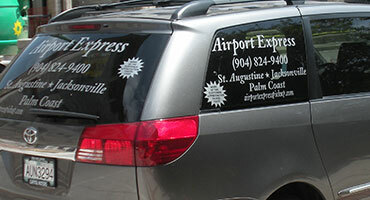 AIRPORT EXPRESS OF ST. AUGUSTINE, INC. is a ground transportation company located in St. Augustine, Florida, the nation's oldest city. We service St. Augustine and the surrounding areas, including St. Augustine Beach, Vilano, Palm Coast, Ponte Vedra, Palencia, World Golf Village, Elkton, Hastings, and Palatka. We have over 21 years of experience in the transportation business, and are members of the St. Augustine Chamber of Commerce and the Enterprising Women's Leadership Institute. "I've have been using Airport Express of St. Augustine for about 4 weeks now. The main reason why I use them is because you can book them online. The ability to book and pay online is very convenient. Their service has been excellent. Andy is a really, really great driver and very attentive. He always has water and little candies for me, and he gave me birthday card on my birthday! He's an excellent guy. Wayne has also taken really good care of me, and the girls in the office have all been really good when I have called them."